First of all, I'd like to apologize for my absence. I've been busy with work, events and meetings. I went to the sea side with some of my fellow bloggers last Sunday, of which you'll see some pictures in my next post. In the meantime, here are some random pictures of what I've been up to lately. 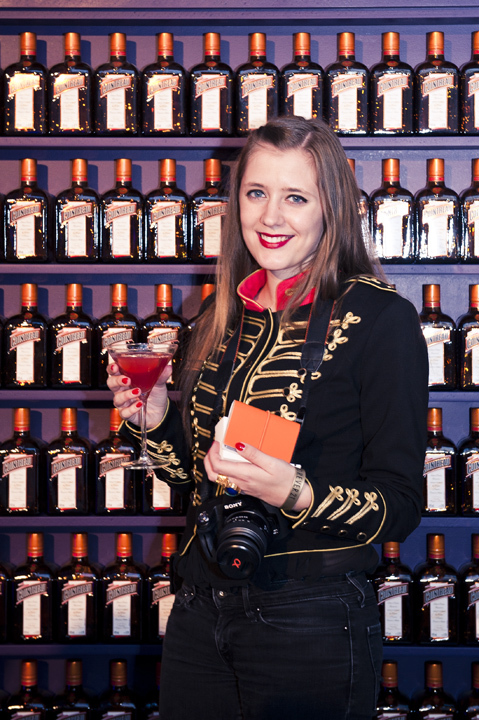 Another picture from the F21-party, posing with the Cointreau business cards I received that evening. 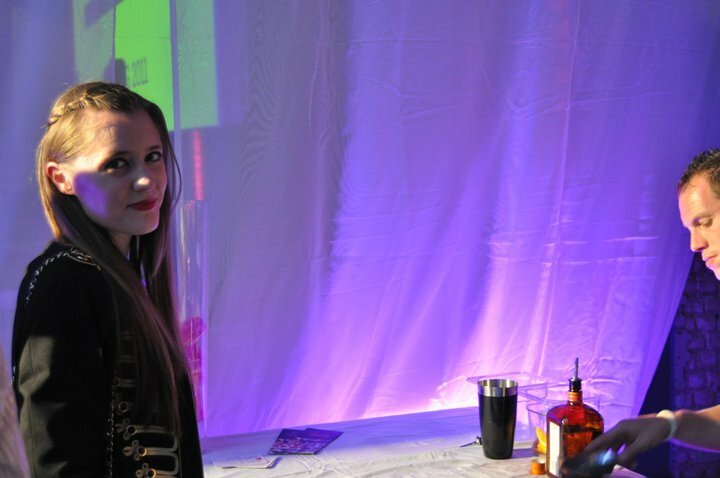 Picture by Oona / Cointreau. If you are following Shark Attack on Facebook and Twitter, must have read about my search for the Marie Claire Spring / Summer-issue. My friend and co-blogger Aureta is featured in the magazine, and she asked me if I could pick her up a copy. Of course, I was a day too late and they already had the new issue in stores. 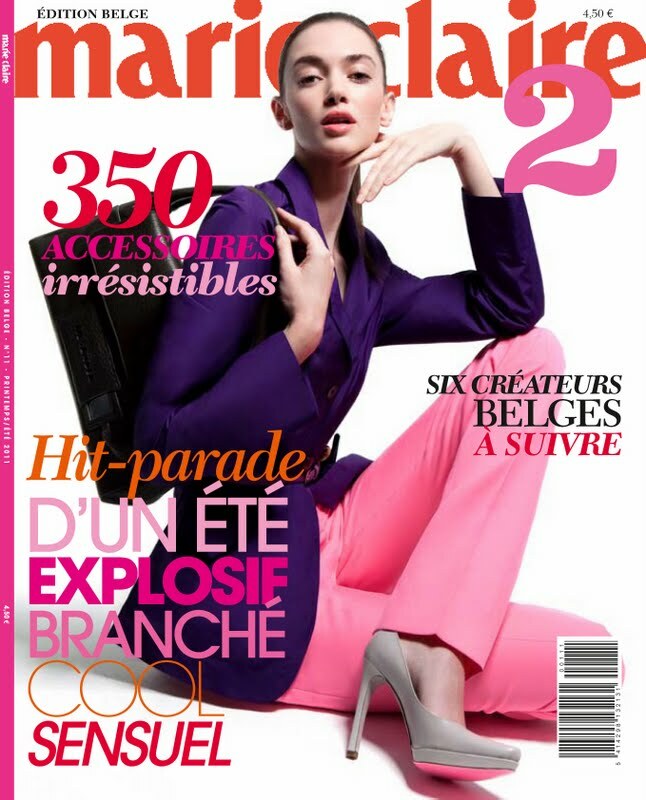 I decided to call the Marie Claire Belgium offices and they were very helpful and kind enough to send me some copies. Thank you for the great service, Marie Claire Belgium! 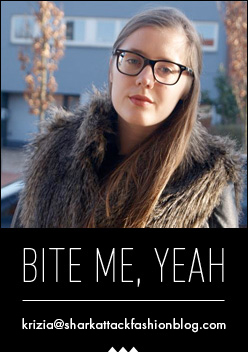 You should definitely check out Aureta's blog. It's one of my favorites. Here's a picture of her last outfit post above. Don't you just love it? If everything goes well, I'll meet Aureta this Friday for lunch and words can't express how happy I am. 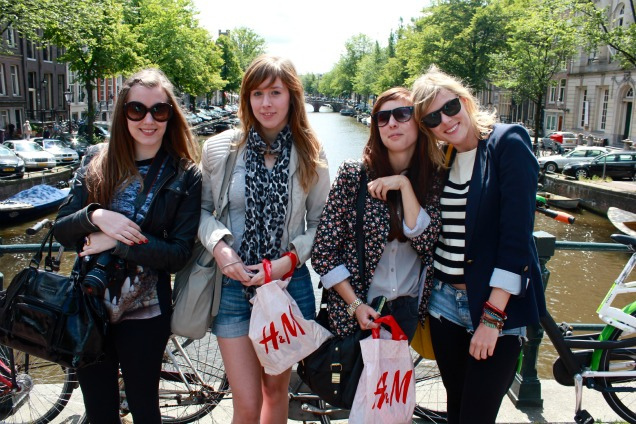 Another picture from our bloggers trip to Amsterdam for the We Like Fashion-event, made by Paulien. From left to right: Myself, Stéphanie, Kim and Sofie. My cousin texted me saying that she bought something that immediately reminded her of me. Turns out it was this shirt. I absolutely love it, even if the message on it isn't true, ha. Thank you for this shirt, Melissa, you're the sweetest! I'm working a lot these days, but I'll do my best to update frequently. Fijne post, dat t-shirt is geweldig :-) Zo lief dat je nichtje je het gekocht heeft! Weet je waar ze het gevonden heeft? love this random post, you should do it a lot more! it is so fun to see whzt you have been doing as a blogger. and you look amazing. fabulous ring, i am a huge fan of black and skulls, so perfect combination. How lovely of Marie Claire to help out like that! Leuke foto's! 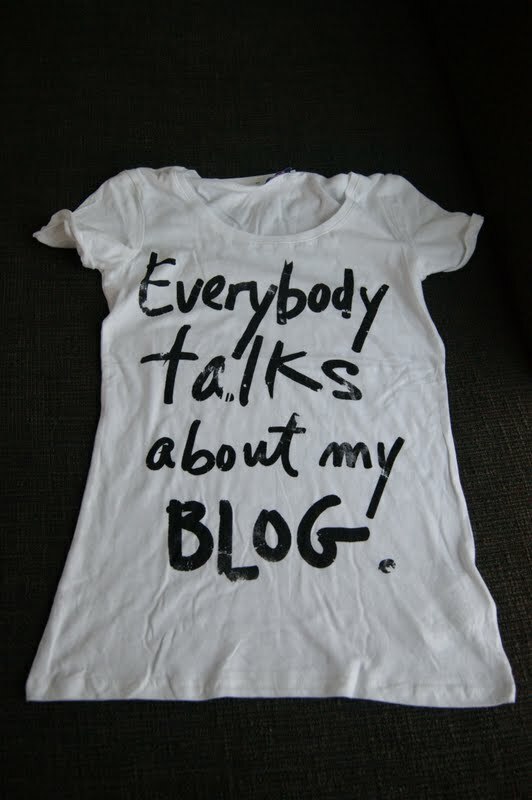 En dat shirt is heel leuk! Weet je misschien waar het vandaan is? fabulous ring! and that shirt is adorable; i need one! Wow, idd, die outfit van Areta is idd zotjes! Glad u liked my picture, dear! We have to take a new one together next time, we forgot to it at F21. Aureta's kaftan is echt te mooi om waar te zijn! I like your tee and that ring,it's fierce ! Love random photos, especially in this case!They are all amazing!!! The black skull ring was a good choice. You made me laugh with the pimped out gold one! Ha. All the photos are great...I'm so going to check out Aureta's blog, that photo is breathtaking! Loved this post. Hope you get more time soon.